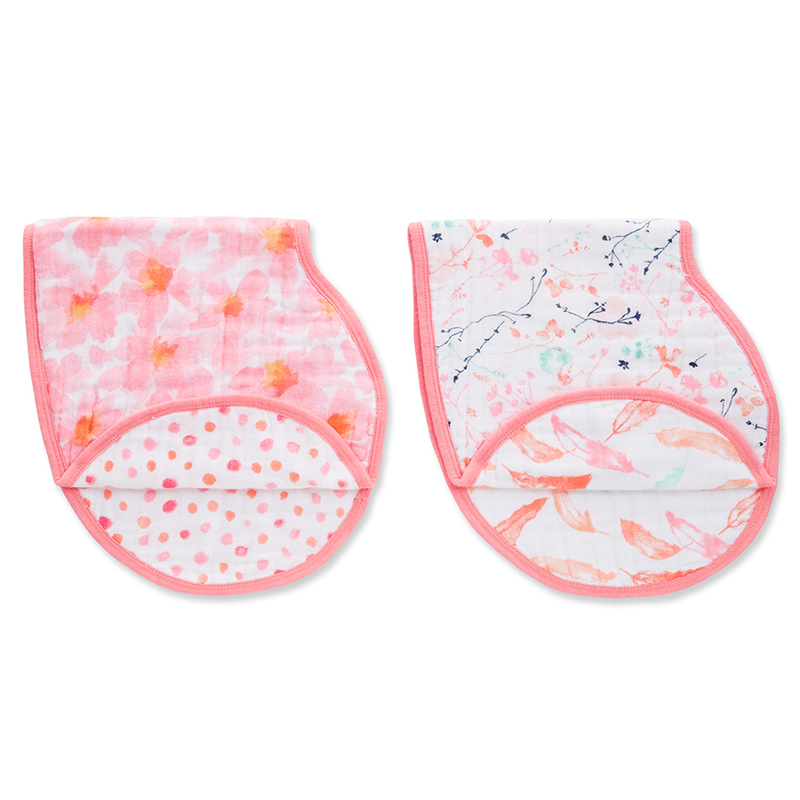 Now Maya-Jones has created the Silky Soft Baby Bib – a burp cloth and bib, all in one. It’s supremely comfortable since it’s crafted from luxuriously soft viscose made from bamboo. Drape it over your baby’s shoulders and snap it at the back for a full coverage bib or place it over your shoulder as a no-slip burp cloth. Genius. Designed by an Australian in the USA. Crafted from four layers of soft pre-washed viscose made from bamboo. Versatile - for use as a burp cloth and baby bib. Presented as a pack of 2 Burpy Bibs. Dimensions: 23cm (l) x 59.5cm (w).